The time has come to once again assume the crane position or sweep the leg depending on where your allegiance falls. Following a bidding war that included the likes of Amazon, AMC, Hulu and Netflix, YouTube Red has secured the rights to a 10-episode half-hour comedy series based on the original version of The Karate Kid. According to The Hollywood Reporter, the new series will be entitled Cobra Kai and will see Daniel (Ralph Macchio) and Johnny (William Zabka) running rival dojos. The new series is scheduled to debut in 2018, but will be set in 2014 as it will have been 30 years since the All Valley Karate Tournament. Johnny has fallen on hard times and reopens the Cobra Kai dojo which will put him in direct competition with Daniel who is now a success. However, without Mr. Miyagi to guide him, Daniel can't find balance in his life. The two men will try to work through their personal problems the only way they know how… through karate. "Like everyone who grew up in the 1980s, the three of us are enormous fans of The Karate Kid ," Executive Producers Josh Heald, Jon Hurwitz and Hayden Schlossberg said in a joint statement. "Cobra Kai will be a true continuation of the original films — packed with comedy, heart and thrilling fight scenes. We can't wait to reignite the LaRusso-Lawrence rivalry, and we're thankful to our partners at YouTube Red, Sony Pictures Television and Overbrook for their shared enthusiasm in making our dream project a reality." Addressing the name change from "Karate Kid" to "Cobra Kai," Daniels said it is all about the story. 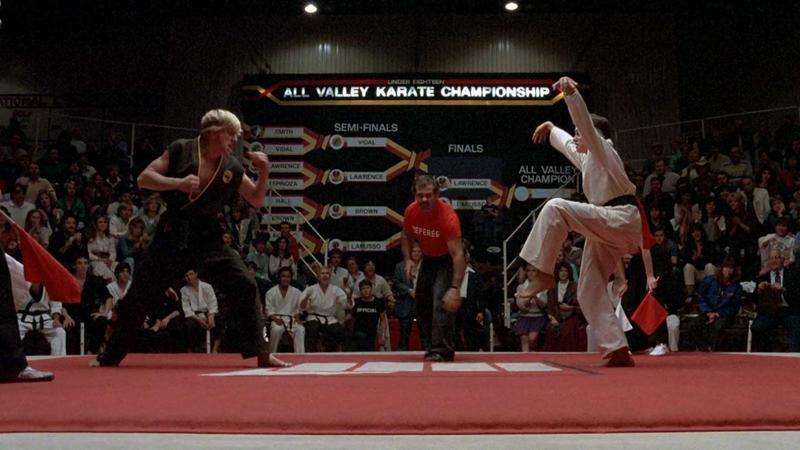 "If The Karate Kid was Daniel's story, Cobra Kai is equal parts Daniel and Johnny's story. Also because this is a series and not a movie, we really wanted to reimagine how the story was told. Changing the name made sense as part of that." Cobra Kai is set to debut on the YouTube Red subscription service in 2018.